Chapter 8 - The Sacrament of Holy Orders - My Catholic Worship! One of the most important keys to understanding the Sacrament of Holy Orders is to first understand the mission of Christ. Understanding how Jesus entrusted His mission to the Apostles, and to all the faithful, each in their own unique way, will help us deepen our knowledge of the Sacrament of Holy Orders. Let’s start with some questions. What was the mission of Christ? What did He come to do on Earth? The best way to answer these questions is to examine all that pointed to His coming in the Old Testament. There we see what we call “prefigurations” of Christ. These are people, words and actions by which God prepared to come to Earth to fulfill His mission. Specifically, we can identify three prefigurations that God offered in the Old Testament that are fulfilled in the mission of Christ: 1) The Levitical Priests; 2) The Prophets; 3) And the Kings. Levitical Priests: From the beginning of time, after the fall of Adam and Eve, God invited humanity to begin a process of atoning for sin. Cain and Abel were the first to bring animal sacrifices to God (Genesis 4:3-5). Abel’s was acceptable to God since it was the firstborn of his flock. After that, Noah offered sacrifice to God (Genesis 8:20-21). And who could forget the sacrifice of Abraham (Genesis 22)? God called him to offer his firstborn son, Isaac, but stopped him just before the sacrifice, allowing him to offer a ram instead. Tell the whole community of Israel: On the tenth of this month every family must procure for itself a lamb, one apiece for each household. If a household is too small for a lamb, it along with its nearest neighbor will procure one, and apportion the lamb’s cost in proportion to the number of persons, according to what each household consumes. Your lamb must be a year-old male and without blemish. You may take it from either the sheep or the goats. You will keep it until the fourteenth day of this month, and then, with the whole community of Israel assembled, it will be slaughtered during the evening twilight. They will take some of its blood and apply it to the two doorposts and the lintel of the houses in which they eat it. (Exodus 12:3-7). Every house offered an animal sacrifice, sprinkled blood on the door post, and prepared to be set free. Then, many years later, once settled in the new Promised Land of Israel, God formed the Levitical Priesthood from the descendents of Aaron. God laid down various instructions (found in Exodus and especially the Book of Leviticus) which guided the Levitical priests in their duty of offering sacrifice. Solomon built the first temple which was dedicated to sacrifice. Animal sacrifice continued until after the time of Christ, when the second temple was destroyed in 70 A.D., never to be rebuilt. Without going into an exhaustive study of the Levitical Priesthood, suffice it to say that these priests, as with all those before them who offered sacrifice to God, were prefigurations of the one High Priest, Jesus Christ, who offered Himself as the perfect and spotless Lamb of God, the firstborn Son, to atone for the sins of the world. Jesus was the final and ultimate Priest who offered Himself as the final and ultimate Sacrifice. Prophets: Other prefigurations of Christ in the Old Testament were the Prophets. They were called by God, and anointed with the Holy Spirit, to speak God’s message. It was typically a message of repentance and conversion by which God continually called His straying people back to Himself. The prophets were men of God (1 Samuel 2:27), servants and messengers of the Lord (Isaiah 42:19), seers (Isaiah 30:10), filled with the Spirit (Hosea 9:7), and watchmen for the people (Ezekiel 3:17). There were formal prophets designated by God and anointed for that role, and those not formally given the title but who, nonetheless, acted as God’s messengers. Abraham was called a prophet (spokesman) by God in Genesis 20:7. Aaron was a spokesman of Moses who was a messenger of God in Exodus 7:1. The best known formal prophets are Isaiah, Jeremiah, Ezekiel and Daniel since much is written down about them. They are referred to as the Major Prophets. There are also twelve Minor Prophets: Hosea, Amos, Micah, Zephaniah, Haggai, Zechariah, Joel, Obadiah, Jonah, Nauum, Habakkuk, and Malachi. In addition, Joshua was referred to as a prophet as was Samuel. Joshua succeeded Moses and led the people into the Promised Land, and Samuel was the last of those referred to as the Judges. As with the section on the priesthood above, we could go into great detail regarding the Old Testament prophets, their works, and the uniqueness of each of their situations. But that is not the purpose of this current chapter. Instead, the goal is to illustrate that prophets played a significant role prior to Christ preparing the people for the coming of the Messiah in various ways. Most specifically, they continually spoke for God and called the people back to God from their evil ways. They spoke the truths of God and were inspired by God to do so. The greatest of the Old Testament Prophets is actually found in the New Testament. John the Baptist is the greatest and last of the Old Testament Prophets because he was the immediate precursor to Christ. He prepared the way for His immediate coming. Jesus takes on this new role of the Prophet of all prophets by coming as Truth itself. He is the Truth, the Way and the Life. He is the Word of God in fullness. He is the definitive and final “statement” from God revealing all truth. Jesus is the fulfillment of all Prophets. King: In our day and age we tend to separate civil governance from the Church. The “Separation of Church and State” we say. As a result, we can fall into the trap of thinking this means separation of God and civil governance. But is this what God intended? Is this the way it has always been and is it the way it will always be? The answer is no, no and no. In creating the world, God intended to be centrally involved in its governance. And He will do just that in eternity when He establishes the new Heavens and new Earth. In the Old Testament we see God raising up leaders to govern. Noah, Abraham and Moses led their people with the authority of governance. Saul, David and Solomon were known as powerful kings. And there were numerous other kings who were anointed and empowered by God to rule His people. The role of a king was ultimately to govern in truth and justice, respecting and implementing God’s law as the ultimate law. King David, especially, was seen as a good king who governed with a shepherd’s heart. Though he wasn’t perfect, he brought stability and peace to God’s people. Throughout the Old Testament we see God shepherding his people with good leaders. But we also see leaders who go astray and wreak havoc on the community. But all of these leaders were only prefigurations of the one great Leader, Shepherd and Ruler to come. And that, of course, is the King of Kings…Jesus. Jesus, as King, came to be the perfect Shepherd of all. His kingship is one that governs the spiritual world now, and at the end of time, He will rule the material world in perfect justice. He governs our souls as we let Him and desires to bring perfect order and peace. He is the perfect King. So the point of this section was to illustrate the mission of Christ. He was sent by the Father, into the world, to be Priest, Prophet and King. In fact, He was the perfect fulfillment of each one of these roles. Together, they sum up His entire mission. From here, let’s look at how Jesus entrusted His mission to the Apostles as well as His entire Body, the Church. There are two key parts to this passage. First, Jesus said, “As the Father has sent me, so I send you.” This is key because it shows that the Apostles were to now share in the very mission of Christ. They were to share in the mission that Jesus was sent to fulfill by the Father. They were being sent, as Jesus Himself said earlier in John’s Gospel, to do even greater works than He did (see John 14:12-14). So this tells us clearly that Jesus’ mission to be Priest, Prophet and King did not end with His ascension into Heaven. In fact, His earthly life was, in some ways, just the beginning of His mission. The second key part in this passage is the gift of the Holy Spirit, “And when He had said this, He breathed on them and said to them, ‘Receive the Holy Spirit.’” It is by a unique gift of the Holy Spirit, namely, ordination to Holy Orders, that the Apostles are now able to carry out Jesus’ mission as Priest, Prophet and King. It is not by their own effort or power they carry out the mission. With this basic understanding of the role the laity play in fulfilling the mission of Christ, let’s now turn our attention to the way the ordained fulfill this mission in their unique way. In order to understand this properly, we must understand, first, the three degrees of Sacred Ordination: bishop, priest and deacon. Episcopacy (bishops): The bishops are the successors to the Apostles. A little known fact is that every bishop actually could trace his line of ordination back to the Apostles. Of course this may be impossible to do for most bishops, practically speaking, in that it would be hard to find the historical records of ordination all the way back. But it is true that every bishop is directly descended from the Apostles. From that upper room, when the Apostles were ordained by Christ, they eventually went out to evangelize and govern the world. As they established a new Christian community, an Apostle would ordain a new bishop to care for that new church. Those new bishops would do the same and so forth until today. This unbroken chain of ordination is essential to a bishop’s valid ordination. Without it, there would be the complete loss of the episcopacy as well as the priesthood and deaconate. Being the direct descendents of the Apostles, bishops share in the fullness of the priesthood. Only they have the authority to ordain new priests and deacons. The Holy Father in Rome, the pope, is a bishop also. Being the successor of St. Peter himself, he exercises a singular spiritual authority over the entire Church. But in regard to his ordination, the pope is no more or less a bishop than every other bishop. Presbyters (Priests): Like the bishops, presbyters share in the priesthood of Christ. They exercise the same spiritual power to celebrate Mass, forgive sins, bring healing, preach with authority and shepherd souls. The difference is that priests are tied to a bishop. They are coworkers with the bishop in the ministry of Christ. In fact, every priest must be under a bishop to function in his role. Even those in religious orders must be tied either to the local bishop, or to the pope himself, as their bishop. Deacons: Deacons are not ordained to the priesthood; rather, they are ordained “unto the ministry.” This ministry is one of service in the Church. They do not take on the role of shepherd in the same way priests and bishop do, but they are entrusted with the task of preaching with authority. They also must be tied to a bishop and act as servants in the Church in their own unique way according to the needs of the Church. Let’s now look at how the threefold mission of Christ, of priest, prophet and king, is fulfilled in the ordained minister. We already looked at how these roles are fulfilled in the laity through the royal priesthood, so it is now important to understand how they are fulfilled through ordained ministry. Priestly Role: As mentioned, presbyters and bishops share in Christ’s priesthood in a unique way by virtue of their ordination. This unique participation differs from that of the laity and deacons not only in degree, but in essence. In other words, it’s not that presbyters and bishops just fulfill this role to a greater degree as if supercharged; rather, they fulfill this role in an entirely different way. Presbyters and bishops fulfill the priestly role of Christ by actually perpetuating the one and eternal Sacrifice of the Cross through the offering of the Holy Eucharist. As the priest offers Mass, it is Christ Himself who is present offering the one eternal Sacrifice. We say that the priest acts in Persona Christi, that is, “in the Person of Christ.” So it is not the priest himself offering the Mass; rather, it is Christ who is alive in and one with the priest. By virtue of the priest’s ordination, it is Christ Himself who offers each Mass. Presbyters and bishops also act in Persona Christi every time they absolve sins in the confessional and every time they anoint a person with the oil of the sick in the Sacrament of Anointing. This sharing in the mission of Christ is “priestly” because its source is the grace of the one perfect Sacrifice of the Cross, which was Jesus’ perfect priestly act. Prophetic Role: All people are called to share the Word of God by what they say and what they do. That includes priests, laity, and religious. But each one does it in their own unique way. Those who share in the ordained ministry share in the prophetic mission of Christ in a powerful way. Let’s look at a practical example to help illustrate this point. Say there is a layman who gives a class at a local parish on the Gospel of John. What he shares is good, true and insightful. Now imagine that this same talk is given by the parish priest. The content is the same, the words are the same, but is the prophetic message the same? The answer is that, even though what is said is the same, the fact that the priest gives the message is significant. By virtue of his ordination, the message he speaks takes on an added authority. God speaks not only through the priest’s words, but also through his sacred ministry. And, of course, the same is true if what is taught is erroneous. In that case, the error taught by someone ordained is more damaging to the Church than if it were taught by someone not ordained. The point of this illustration is to show that God speaks His Word through the ordained ministry in a unique and powerful way. God’s Word is not just words, rather, His Word is a communication of His very Person. This is especially true within the sacred Liturgy itself. The Liturgy is a sacred action of both Christ and the Church. Jesus shows up sacramentally, but He also shows up as the Word that is proclaimed. For that reason, the ordained minister is the only one who is permitted to preach within the context of the Liturgy. This homily is to be a heart to heart conversation between God and His people, a revealing of the very mind, heart and Person of God Himself. And the glorious truth is that God is able to accomplish this revealing of Himself through the ordained minister despite the fact that the ordained minister is a sinner like the rest of humanity. God can do amazing things even with poor instruments. By analogy, it would be like a master musician who picks up an inexpensive violin and produces beautiful music. Sure, the better the instrument the better the sound. But, more important than a good instrument is the musician himself. God is that Musician and we are the instrument. He uses us, and in the case of the Liturgy, uses the ordained minister as a means of His glorious Word. The bishops (and especially the pope, as explained in Book One of this series) are entrusted with the fullness of the proclamation of the Word of God. Priests also share in this ministry of the Word as coworkers of the bishops. Deacons are also entrusted with the proclamation of the Word of God by virtue of their ordination and are also given a special gift (charism) so as to preach that Word with authority. Kingly Role: Too often we have a misunderstanding of what it means to be a “king” or to act with the authority of governance. Our common misunderstanding of this role seems to stem from the fact that so many, throughout history, have abused their power of governance. This is seen in numerous forms of abuse found in secular governance throughout the ages. It is also found in abuses of authority within the Church itself. There is an old phrase that comes to mind here, “absolute power corrupts absolutely.” Though this may not always be the case, it is a common tendency due to our fallen human nature. The power of governance of people brings with it temptations to abuse that authority and to govern with harshness and selfishness. Jesus’ Kingship was of the highest order and is the perfect model for all governance. He ruled like a shepherd, humbly leading His sheep, keeping them safe and feeding them. The shepherd is intimately involved in the day to day life of the sheep. He is there in the sheepfold with them. They know the shepherd, hear his voice and follow him. Priests and bishops are empowered by virtue of their ordination to act as shepherds to God’s people in the very name and person of Christ. This priestly governance (also referred to as “hierarchy” – hieros=priestly and arch=governance) is manifested in two primary ways. First, it’s manifested in the external governance of the Church itself, and, secondly, it’s manifested in a more personal shepherding of individual souls. The priestly governance of the Church is exercised on various levels. The pope is entrusted with the universal governance of the whole Church on Earth. Each bishop is entrusted with the governance of his local church (diocese). And priests, when given the responsibility of being a Pastor, are entrusted with the governance of their parish. This governance brings with it various rights and responsibilities and is exercised, ideally, with the heart of Christ. On a more personal, one-on-one level, all priests and bishops are entrusted with the care of souls and are called to shepherd people through their pastoral ministry. This certainly includes offering them the Sacraments and preaching the Word of God, but it also includes individual shepherding through spiritual guidance. This more intimate encounter between God’s people and priests reveals the personal nature of shepherding. Shepherding (governance) is not at all just about the priest “being in charge;” rather, it’s first and foremost about the priest or bishop leading God’s people to Christ. The previous pages of this chapter give a general understanding of Holy Orders, its origin in the Old Testament, its fulfillment in Christ, and Christ’s entrustment of that mission to the Church. 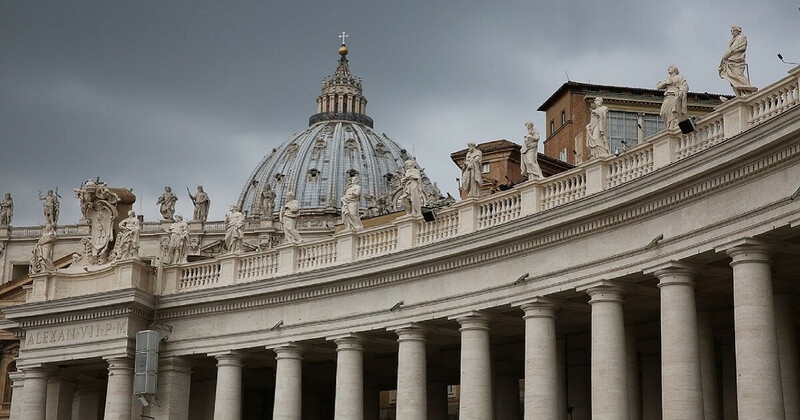 In addition to this general overview of Holy Orders, it is important that we look at several practical considerations and questions that often come up. Let’s look at why Holy Orders is reserved only to men, celibacy, the distinction between religious and diocesan priests, and how ordination itself takes place. Ordination of Men: The ordination of bishops, priests and deacons is reserved only to men. Why is that? Is it a form of discrimination? Is it a hold out from the past? Will it ever change? These are important questions to properly understand and answer. The answer to these questions is quite simple. The reason only men are ordained is because we do what Jesus did. Jesus was male. God the Son took on human flesh in the form of a man. Jesus picked twelve men as His Apostles and they became His first bishops. Also, from that time on, those whom the Apostles picked as their successors and coworkers were men. Therefore, the Church continues to do what Jesus and the Apostles did. The same is true of the deaconate. In Acts 6 we have the institution of the deaconate. The Apostles needed help and they chose seven men to be ordained deacons. This practice then continued on throughout the centuries. What’s key to understand here is that, with all of the Sacraments, we do what Jesus did. For example, we baptize with water because Jesus was baptized with water. We use bread and wine for the Mass because that’s what Jesus did. And we use men for ordination because that’s what Jesus did. It’s easy to question this and wonder why Jesus picked only men for His first bishops. Was it just the cultural influences of the time? Was Jesus Himself pressured by that culture? No, certainly not. Jesus was very often counter-cultural and not afraid to stand up to the erroneous practices of the time. So we should conclude that He did what He freely willed to do. Another question that may arise is whether this means Jesus, or the Church, is prejudiced by restricting ordination only to men. Again, most certainly not. There is nothing wrong in choosing only men for ordination. Truthfully, we will only fully know why Jesus did this when we get to Heaven. We’ll have to ask Him then. But we should know and believe that Jesus was not prejudiced. In fact, He was quite caring and counter-cultural in the way He treated women with the utmost respect and dignity. But, for some reason, he chose men for Holy Orders. In our day and age we tend to think that equality of dignity means sameness of roles and responsibilities. But is that true? What is true is that men and women are 100% equal in dignity, but differ in their roles in the world, family and the Church. We must be very careful not to fall into the trap of thinking that being “different” implies being “better” or “worse.” It doesn’t. We should not be afraid to embrace the difference between men and women in accord with God’s plan, while maintaining complete equality in dignity. Can this practice of ordaining only men ever change? No, it cannot change anymore than the Church could change using bread and wine for Mass or water for Baptism. So this practice will remain until the end of time. Celibacy: In the Western Church the practice of ordaining only celibate priests and bishops is the norm. A Married man can be ordained a deacon, but if his wife were to pass away before he does, he cannot remarry. In the Eastern Church the practice of priestly celibacy is optional, therefore, married men can be ordained. However, bishops are chosen only from those priests who choose to live celibacy. Why do we have celibacy in the Western Church? This could be answered from varying perspectives. Scripturally, Jesus himself spoke of those who would remain celibate for the sake of the Kingdom (Matthew 19:12). And we should not forget that Jesus Himself was celibate. St. Paul speaks of celibacy as an ideal in 1 Corinthians 7. And as the Apostles went forth to proclaim the Gospel to new towns and countries, they left their families behind to fulfill their missions. As for “why” we have celibacy, it seems that, in addition to its Scriptural basis and the witness of Christ as a celibate, there are practical, ministerial, and symbolic reasons. Practically speaking, celibacy allows a priest to fully dedicate himself to His priestly ministry. And this is the ideal for a priest. If a priest were married with children, it would be only proper that his wife and children would take precedence over his priestly ministry. However, a priest must strive to imitate Christ in every way. Priests must, ideally, make their priestly ministry the center of their lives. For that reason, married priests will more easily experience a certain conflict between two very good things – their ministry and their family. Not that this would be an irreconcilable conflict or even a negative conflict. It would simply be a conflict of priorities. Therefore, the Western Church has maintained celibacy so that priests can be singly focused on their ministry. Could celibacy ever change? Theologically speaking, yes it could. The pope has the authority to change this since it is a discipline of the Church and not an essential part of the priestly ministry. After all, some of the Apostles were married, priests in the Eastern Church can be married, and there are even extreme situations within the Western Church when priests can be married. (When a married Anglican priest converts to Catholicism he can get permission to be ordained a Catholic priest while still being married.) However, though celibacy could change in theory, most believe it will not change. It’s been the practice for many centuries, has been one of the core reasons for the Church’s missionary impulse, and will most likely remain the practice of the Church. Religious and Diocesan Priests: The first thing that should be said about the distinction between religious order priests and diocesan priests is that a priest is a priest. There are not two forms of the priesthood. All priests are priests, all deacons are deacons, and all bishops are bishops. However, there are different ways that priests live out their priestly ministry. One of the primary distinctions is whether they are religious or diocesan priests. A religious priest is one who first belongs to a religious order, such as the Franciscans or Dominicans, and later, with the consent of the order’s superiors, is also ordained. The primary reason for a religious to also be ordained a priest is to help fulfill the mission of the order. These priests remain religious brothers or monks and exercise their priesthood/deaconate in accord with the direction of the superiors of that order. Religious priests take vows in accord with the practice of their order but most every order takes vows of celibacy, obedience and chastity. Diocesan priests are ordained for a specific diocese, under a specific bishop, for the purpose to serve its needs. Diocesan priests make solemn promises of obedience and celibacy. Obedience means, first and foremost, that a priest fulfills the ministerial responsibilities assigned to him by his bishop. Celibacy is straight forward in that it means a diocesan priest sacrifices the good of marriage and family for the sake of being singularly devoted to the priestly ministry. Ordination Itself: If you ever have the opportunity to attend a beautiful and solemn ordination ceremony it is worth it. A diocesan priest prepares for ordination through eight years of study after high school. This typically involves an undergraduate degree in philosophy and a graduate degree in theology. During the time of priestly formation, the seminarian also engages in various apostolic ministries, spiritual direction and formation of his human personality. A religious will often also fulfill at least eight years of study and, at times, even more. Only a bishop can ordain a man to the deaconate or priesthood. Bishops are ordained by other bishops. Customarily this takes place with at least three bishops present. The ritual involves publically making the priestly and diaconal promises, the laying on of hands and, for priests, anointing of their hands with chrism oil. During the ceremony they are vested in theirnew liturgical garb and are welcomed by the other priests or deacons present. It is truly a glorious ceremony. The last thing to mention about ordination is that, like Baptism and Confirmation, Holy Orders imparts an “indelible character” upon the soul of the ordained. This means that once a man is ordained, he is ordained eternally. There is no way to take this sacred gift away. Even if he were to leave or be removed from active ministry, the spiritual character of ordination would not be erased. Once a bishop, priest or deacon, always a bishop, priest or deacon. We’ve just scratched the surface of Holy Orders but, hopefully, this basic introduction to this sacrament helps you grow in appreciation for the gift of our bishops, priests and deacons. They are here to serve the Church and rely greatly upon the prayers and support of the laity.